Did you know that Starlink: Battle for Atlas still hasn't released in Japan? As we mentioned awhile back, the game is launching in that part of the world on April 25th, 2019. To promote the upcoming launch, Ubisoft has launched a couple new promo videos, and revealed packaging pics as well. It was the same story with Mario + Rabbids Kingdom Battle. The Japanese had to wait ages for a localisation. This game will be full price there, while here in Europe it&apos;s been heavily discounted, it was on sale less than a month after release. The Starlink Starter Pack for Switch has been on sale for as little as €12.50, that&apos;s how poorly it sold on all platforms. 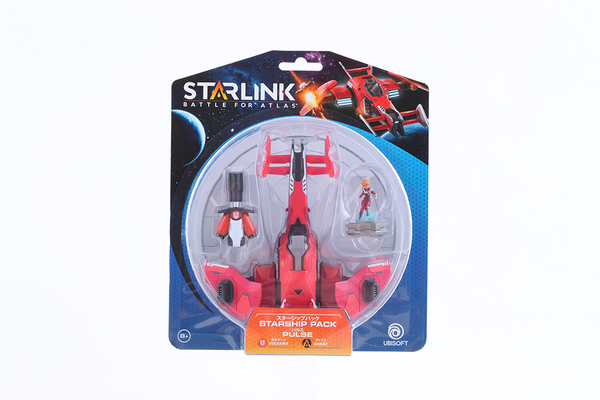 I really like Starlink. There&apos;s a lot of repetitive gameplay at times but the whole overall package and additional content makes up for it.